Baguettes in the window of my local boulangerie. 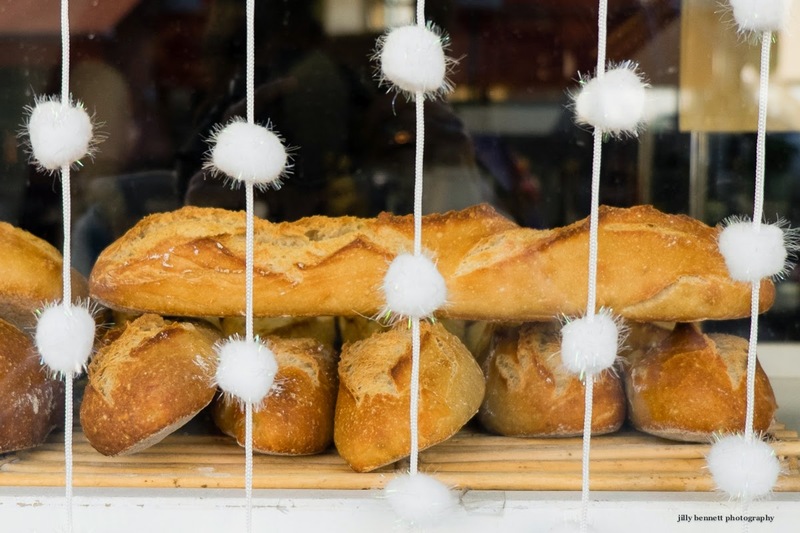 Baguettes dans la vitrine de ma boulangerie locale. Sugar or snowballs on the bread. How do you like the controls on the Fuji? I have an Olympus EM-5. It is small and light, and takes good images except in very low light. However, the menu system is not nearly as clear as Canon's. The tiny controls are hard for my large and somewhat crooked hands. I end up dragging the 5D Mk III around with me most of the time. By the way, I just got a Canon 40 mm f2.8 pancake lens. First few shots with it today. I think it will be fun. I'm sure you'll enjoy the XT1 and will be happy with the photos. The 5D MkIII will probably be relegated to the studio only.